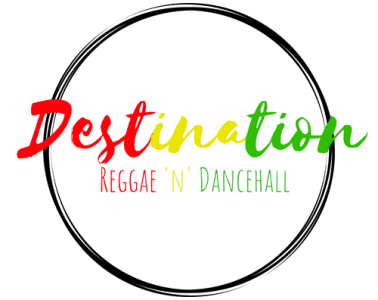 Introducing you to our series Reggae Icons, which aims to inform you about some of the pioneers of Reggae music, giving you the opportunity to look at the development of their careers and also the development of this beautiful genre of music. Culture formed in 1976, originally under the name the African Disciples. Joseph Hill the lead vocalist of the group had been a sound system selector and a member of the Studio One session band Soul Defenders, singing and playing percussion. Hill’s unique vocal style which would later become a trademark of Culture, can clearly be heard hear in The Soul Defenders ‘Take Me Girl’. Following Hill’s initial unsuccessful stint in the music business, Hill formed Culture with his cousin Albert “Ralph” Walker and Roy “Kenneth” Dayes. The trio went on to audition for the ‘Mighty Two’, the production team of Joe Gibbs and Errol Thompson, with Gibbs serving as the producer and Thompson as the engineer. Under the ‘Might Two’ work began on their first album, ‘Two Sevens Clash’, during the build up to the release of this album the trio released a series of successful singles including ‘See Dem A Come’ and the title track ‘Two Sevens Clash’, which predicted the apocalypse on the 7th of July 1977 as believed by followers of Rastafari. The album ‘Two Sevens Clash’ went on to have success both locally and internationally, briefly featuring on the UK charts at #60 in 1978. This success was largely helped by the almost cult like status the album received in the punk-rock community. This first album focused largely on the themes of justice and spiritual righteousness. Culture went on to perform at the One Love Peace Concert in 1978, which has since become one of the most powerful events in Reggae history. Following this great year of success following the release of Two Sevens Clash in 1977, Culture moved away from the ‘Mighty Two’ and instead looked to join producer Sonia Pottinger. Gibbs then went on to release a second Culture album in 1978 ‘Baldhead Bridge’, following this the group were involved in a long running dispute with Gibbs over royalties to their work. Meanwhile, Culture began to work on ‘Harder Than The Rest’ which would be released later in 1987, Harder Than The Rest was licensed for international release to Virgin Records’ specialist Reggae label Front Line. Harder Than The Rest featured the Revolutionaries studio session band, which included the legendary drum and bass combination of Sly & Robbie. Following the release of Harder Than The Rest, the group went on to tour Britain. During this period, another album ‘Africa Stand Alone’ was also released which was recorded in-between the band’s transition from Gibbs to Pottinger, the album was never fully completed and was released without the band’s permission. Most of the tracks featured on the album were rerecorded for the Harder Than the Rest album, it remains the only Culture album to feature the often praised track ‘Dog Ago Nyam Dog’. Africa Stand Alone went on to be voted the 5th best album of 1978 in NME’s annual Top 50 albums polls. In 1979, Culture went on to release their final two albums on Front Line, with Cumbolo and International Herb. Both of which continued to establish the three as true pioneers of Reggae. In 1981, the three went their separate ways, Hill continued to use the Culture name with his new band, and recorded the Lion Rock album. Walker and Dayes recorded a handful of their own songs, which ended up on an album titled Roots & Culture. In 1986, the trio reunited and recorded the highly respected albums Culture in Culture and Culture at Work. Several albums followed in the 1990s, under various labels, often also including production from Sly & Robbie. Dayes left the group again in 1994 and went on to record under the name Kenneth Culture. Dayes was since replaced by Reginald Taylor, who was then replaced in 2001 by Telford Nelson. Hill released his final album with Culture, World Peace, in 2003. Hill sadly passed away in August 2006 after suffering from liver failure, Hill died following a performance in Berlin. Culture has continued to tour since 2011, with Kenyatta Hill at the helm with founding member Albert Walker and Telford Nelson, touring as recently as 2017, marking the 40th anniversary of the release of ‘Two Sevens Clash’. Culture will forever be remembered as one of the most iconic groups of the golden age of Reggae in the 1970s. The music of Culture is rooted strongly in the Rastafari faith and preaches of the values of purity, simplicity and justice. The group released over 28 albums and helped to define the genre of roots reggae.